Feather MagazineBuild your beautiful WordPress website within a few minutes. All of our themes are search engine optimized & have an unmatchable page speed. Amazing customer support is our number one priority. Type in your email & sign up to our newsletter, and get all our free themes send to you. We only send emails a few times a year, with free premium themes, plugins and other goodies. Become one of our 21,000+ users & gain instant access to our 20+ WordPress themes! Fast, friendly & top notch customer support is included in all plans. 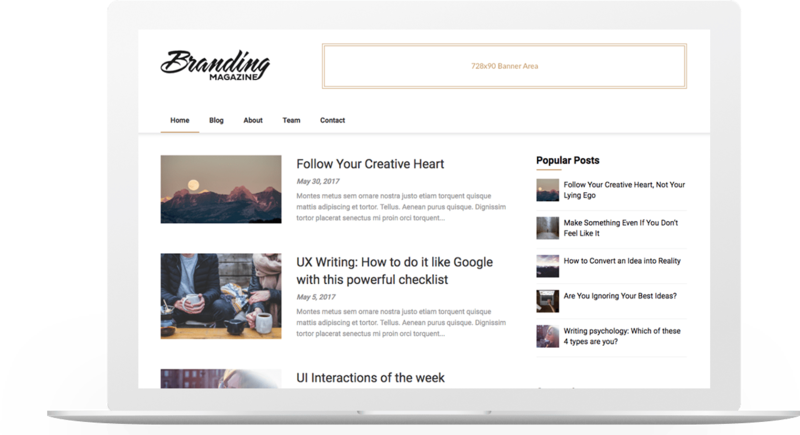 We build breathtaking WordPress themes and write in-depth articles. Our customer support is top notch. Get up to 25% off on all our products this month! If you're having trouble deciding which theme is right for you, enter your email below to receive the free LITE editions of our themes in your inbox.